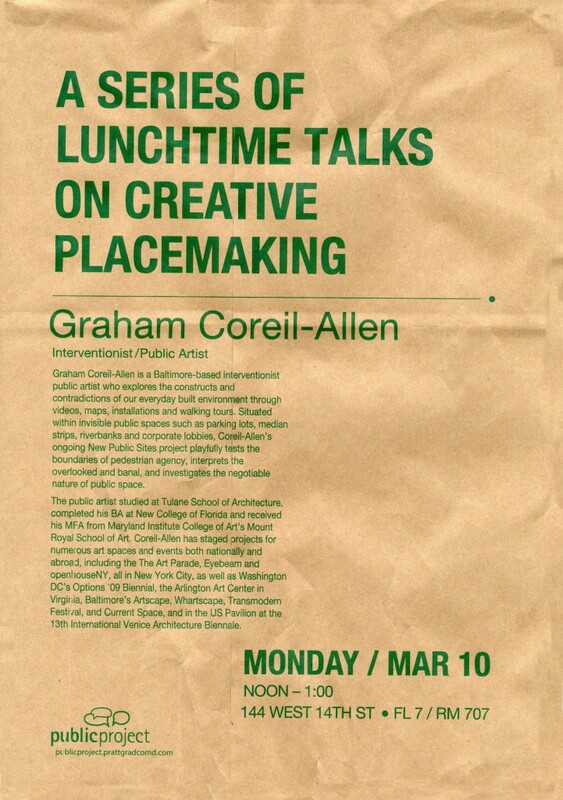 I am presenting artist talks on my on my work dealing with creative placemaking locally today and up in NYC on Monday. Today I am presenting to the Preserving Places course in UMBC’s IRC Fellows Programs. Monday I am delivering a talk and critiquing with students up in NYC as part of the Public Project speaker series offered by the Pratt Graduate Communications Design department. Public Project operates as a collective of faculty and students engaged in the topic of design for social impact and what it means to have a social practice. If you are in NYC Monday and want to hear more about my work, please join us for this public event!